Every once in a while it’s probably a great idea to sit back and count your blessings, feel grateful, for what you have and stop complaining about what you don’t! Yesterday, at a crowded coffee kiosk, I first thought that the lone barista at the counter was struggling with the orders. Each customer in line would first seem irritated and then would immediately calm down and order her or his drink with utmost courtesy. 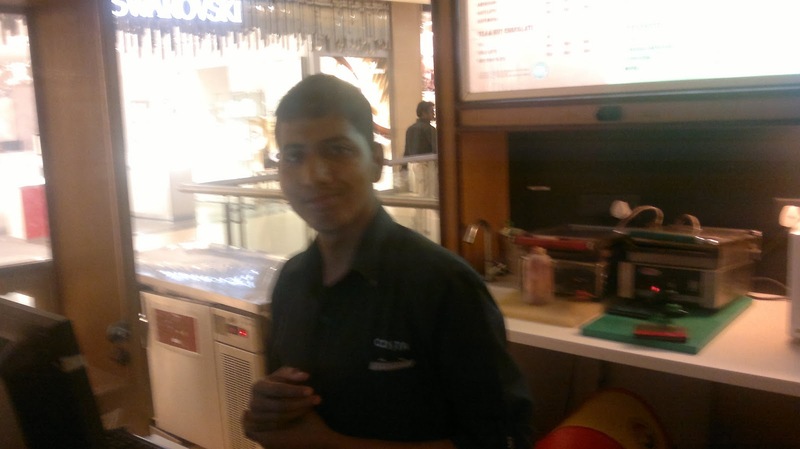 In a bit, it struck me that the 20-something barista, Yashwant, was specially-abled – he could neither hear nor speak. He read your lips or you gestured. But he was full of beans! Cheerful and patient. He made me an excellent Americano and served it with the most confident, lively smile I have seen in some time now. Yashwant’s brew may have been the most awakening cup of coffee I have ever had. I re-learned a lesson that we all need to remember: “Lamenting over what you don’t have can make Life miserable. Living fully with what you have can, on the other hand, makes Life memorable!” And this lesson, every specially-abled person will teach you. In fact, in my entire Life, I haven’t met a specially-abled who is frustrated. On the other hand, fully endowed folks like us are the one who are complaining about Life, worrying, suffering and lamenting about what isn’t instead of loving what is! In reality, we are the disabled: we are handicapped, we are crippled __ because we have nailed our feet to the ground, we have clipped our own wings, with our imagined miseries. Maybe we need a Yashwant moment every day! Just to remind us that Life’s worth living despite its inscrutability and its inadequacies. Hope you get inspired by my sharing. Hope you have a beautiful Friday and choose to live, to love and to celebrate what is and what you have today!